The Bermuda Maritime Operations Centre has confirmed that two vessels – the Norwegian Breakaway and the MS Insignia – have altered their schedules due to Tropical Storm Karl. 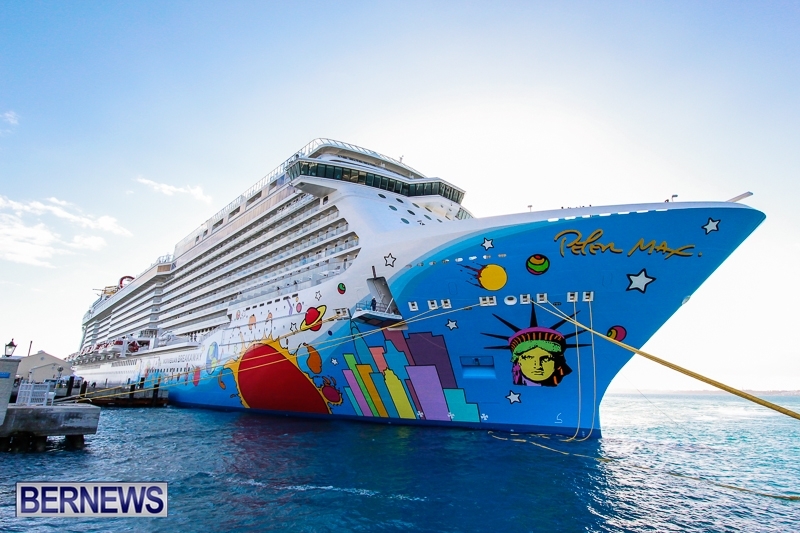 The Norwegian Breakaway cruise ship is leaving early today, at 1.00pm instead of 3.00pm, while the MS Insignia has cancelled her call to Bermuda on September 25/26. The island is preparing for the approach of Tropical Storm Karl, with the Bermuda Weather Service saying it is a “threat to Bermuda” and issuing a Tropical Storm Warning. This morning’s 6.00am forecast says Karl has maximum sustained winds near 60 mph [95 km/h] and its closest point of approach will be 54nm to the south-south-east at 3am on Saturday, September 24. For live updates as Tropical Storm Karl approaches, click here.